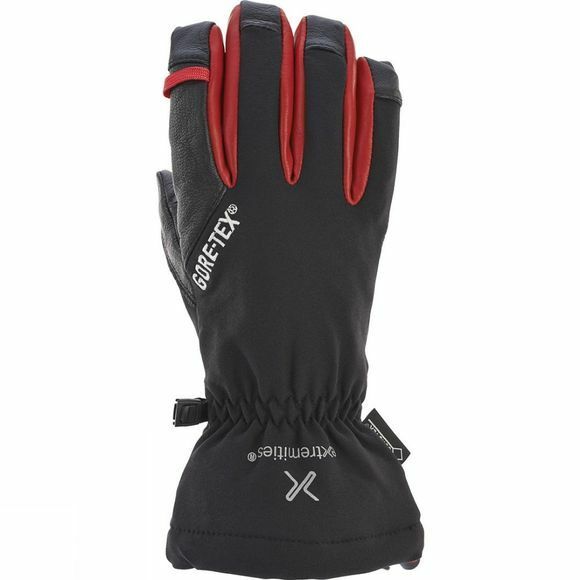 A close fitting lightweight waterproof glove using GORE-TEX X-TRAFIT product technology. When you try these gloves on you'll feel the difference X-TRAFIT makes; the waterproof and breathable GORE-TEX liner is bonded with the outer and lining fabric which means no slippage giving maximum dexterity and optimum grip. 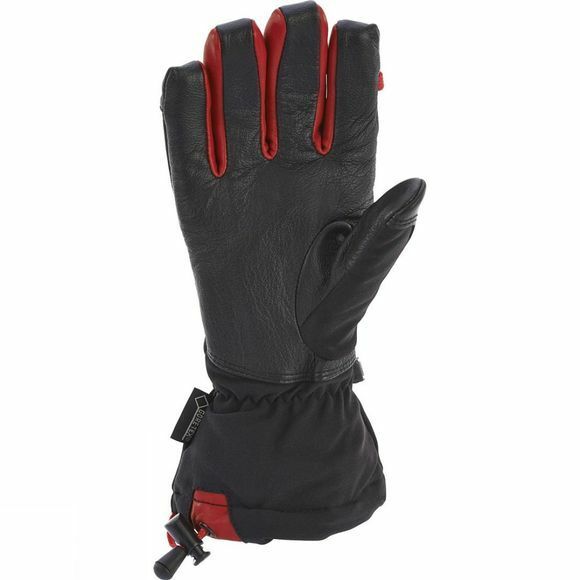 The supple leather palm and fingers provide extra durability and one handed drawcord closure on the gauntlet cuff will keep out spindrift and biting winds. The glacier gloves are designed for activities where dexterity and a waterproof glove are required but insulation is not.